An explosion of colour – this vibrant bouquet brings together a rainbow mix of shades and blooms. 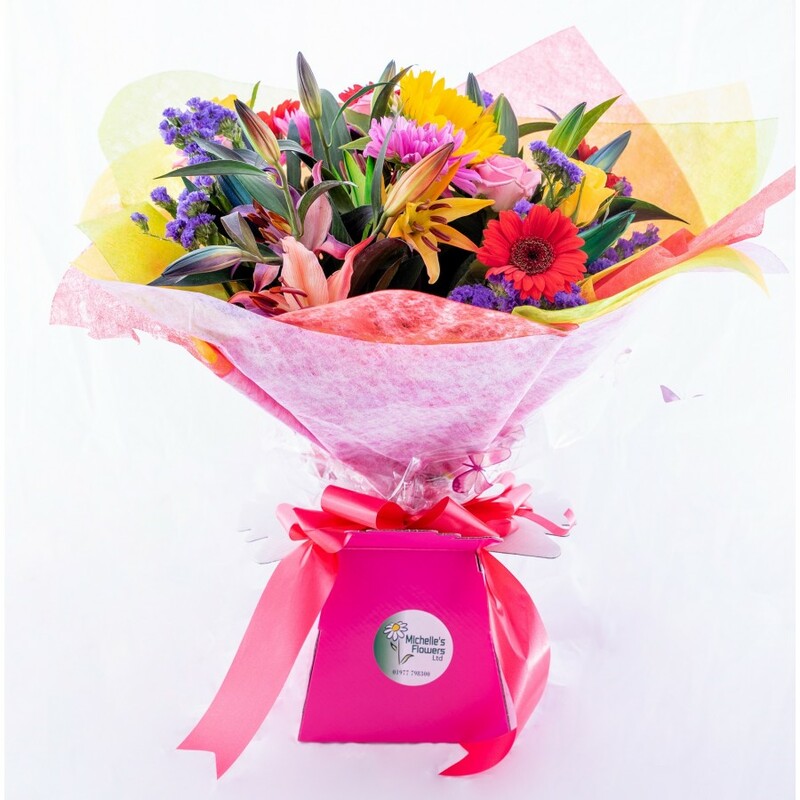 Let Michelle and her team pick and mix floral favourites to create a bouquet sure to wow. Hand-tied in a bubble of water and presented in a gift box.